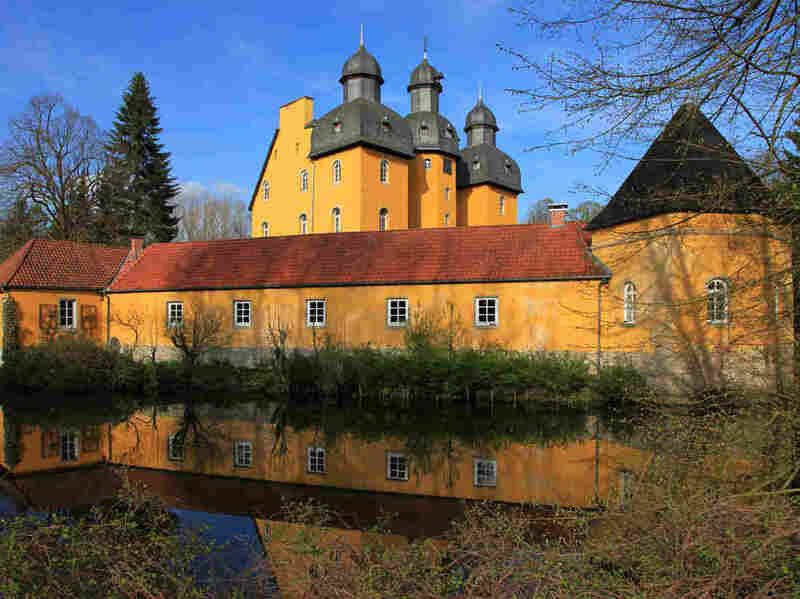 Klaus O, whose last name cannot be revealed due to privacy laws, worked for nearly four decades at a metal fitting company in Schloss Holte-Stukenbrock, Germany. He was caught on camera sprinkling poisonous heavy metals on his coworkers’ food and drinks. A German man who poisoned several coworkers for years, sprinkling toxic metals into their food and drinks, was convicted on charges of attempted murder and sentenced to life in prison on Thursday. By most accounts Klaus O., whose last name cannot be revealed due to German privacy laws, generally kept to himself, often wearing headphones, during nearly four decades of working at the metal fittings company in Schloss Holte-Stukenbrock, Deutsche Welle reported. His manager described him as “conspicuously inconspicuous,” and one of the victims, who worked alongside the 57-year-old toolmaker for 30 years, said the man rarely spoke and had no friends. “I had no problem with Klaus, and I accepted that he does not want any contact. There was never an argument,” the victim said, explaining their relationship. Despite O.’s attempts at keeping a low profile, police arrested him last May after a fellow employee found what officials later discovered was lead acetate — a highly toxic and nearly tasteless substance that could cause serious organ damage — on his lunch. The poisoner’s colleague noticed the sandwich had been tainted with a white powder. He didn’t make much of it at the time, thinking it was strange but not necessarily intentional. But he became suspicious that something nefarious was underfoot when the next day, he brought in another sandwich and that too was laced with the same substance. The would-be victim took his suspicions to company management, which then installed a hidden camera in the break room. The resulting footage was shocking: O. calmly and meticulously pulling food out of his colleagues’ bags, dusting them with powder, then carefully repacking the items and returning them to where he’d found them. Although the entire episode looked bizarre, his colleagues still did not suspect that O. was actively poisoning them, observing as they ingested highly toxic chemicals and began to fall victim to various illnesses. But in a search of his home police discovered a makeshift laboratory where they found a number of heavy metals, including lead acetate, cadmium, lead and mercury. Ultimately, two of his colleagues suffered serious kidney damage. A third has brain damage and is currently in a vegetative state, unlikely to recover. The discovery of O.’s poison lab led police to suspect he may also be responsible for a string of 21 deaths of former employees at the same company. However, officials have not determined whether any of those individuals were poisoned. Neither investigators nor victims have any idea what prompted O. to target them. A psychologist who spoke with O. testified that he approached the poisonings as a researcher, interested in observing the effects of the toxins on his coworkers. He “seemed to me like a scientist who was testing substances on a guinea pig,” he said. O. offered no explanation. From the day he was arrested through the trial, he said nothing about his motivation. The only public statement he issued came at the end of the trial: “I fully endorse the remarks of my defense attorneys,” he said. The life sentence is unusual in Germany for an attempted murder case, lawyers said on Thursday. After Putin’s warning, Russian TV lists nuclear targets in U.S.